This is the Paranormal Intelligence Agency's U.F.O files page. In recent years the amount of U.F.O activity has increase exponentially around the world. We believe that sufficient evidence exists to demonstrate the reality of an alien presence on this planet. In recent months videos of U.F.O. 's have been released to the public and mainstream media. This was prompted by the efforts of Tom Delong and the 'To The Stars Academy' to get new information released from the government. government has been hiding the true story for decades. The real question is why the Deep State has decided to begin to disclose this information. The videos below are of the numerous mainstream outlets who are covering this phenomenon devoid of their usual ridicule and dismissive statements. The effects of this 'soft' disclosure cannot be predicted at this time, but it is clear that those who have guarded these secrets for so long have decided that it must be in their interest to release this information now. The real horror will be when they begin to take the next step of recognizing that the alien abduction phenomenon is quite real and that the craft featured in their newly released videos are at the top of the list of perpetrators. Declassified NSA document reveals alien messages recieved and decoded. "Recently a series of radio messages was heard coming from outer space. The transmission was not continuous, but cut by pauses into pieces which could be taken as units, for they were repeated over and over again. The pauses show here as punctuation. The various combination have been represented by letters of the alphabet, so that the messages can be written down. Each message except the first is given here only once. The serial number of the messages has been supplied for each reference." page 21 appendix "Key to extraterrestrial messages". Because of many avenues of research now underway, we are convinced that the Majestic 12 documents are authentic and represent a very real disclosure of top secret UFO information. The following video was taken of a U.F.O. between Denver and Boulder, Colorado by Jack Cary. The craft seemed to morph shape and revolve around while appearing stationary. This particular craft appears to fall into the barbell shaped U.F.O. that have been reported many times. Alien Abductions really happen and we believe that this phenomenon constitutes a dire threat to all of humanity. In a majority of the cases that we have examined an electromagnetic field of some kind is always described by the Victim as having been used during the abduction. We believe this could be the key in how to combat the phenomenon. Dr. David M. Jacobs is today's seminal authority on the reality of alien abductions and his research has been instrumental in detailing this phenomenon. The following footage is of a real alien abduction. This occurred in the U.K. and was filmed by the victim herself. She decided to set up a camera in her bedroom after many strange incidents and abductions had already happened to her. The video is shocking and we believe for this to have been a hoax, it would have required a degree of monetary funding that this victim simply did not possess. Grey Alien Filmed by KGB: The origin of the video is that during the collapse of the Soviet Union, certain state secrets were smuggled out of the Kremlin. The original poster of the video has been traced to Russia. Wikileaks also received this video and has released it. Two important notes, notice the complexity of the muscular movement of the face and eyes. This type of Hollywood technology is not cheap and to date, this footage has never been claimed by any filmmaker anywhere, nor has it ever appeared in any Hollywood production. Leading researchers, including myself believe that this type of creature is a biological robot, a clone that are bred to perform a very certain task. The following video shows real men in black caught on a hotel security camera. They appeared at the hotel shortly after a major U.F.O. sighting. The eyewitnesses report that the men did not have eyebrows or eyelashes and acted very strangely. One witness said that she felt like they were somehow reading her mind. If these are the famous Men In Black then it would be the first time such good photographic evidence of their existence has been taken. Real Time UFO Tracking Map. The Chilean military has recently released the following video after a two year study. 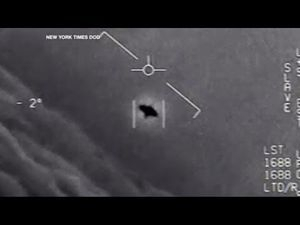 They claim it depicts a very real UFO and that the craft could only be detected on infrared cameras and did not show up on radar. We recently posted an article discussing the creation of a new type of telescope that was designed in order to detect antimatter. The inventor soon discovered that he was picking up unexplained aircraft that could only be seen using this new type of telescope. This was reported in the Journal of American Physics. See the article in our daily Intelligence report timeline.